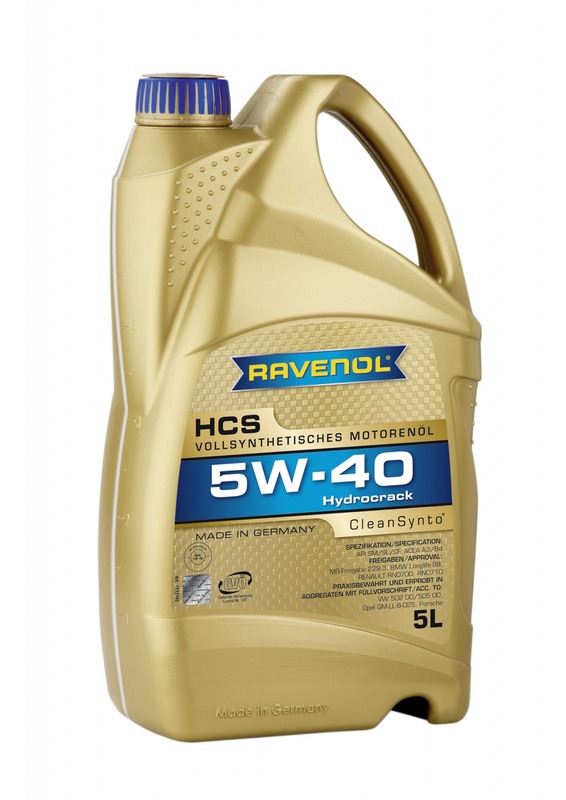 RAVENOL HCS 5W-40 is a synthetic, high performance low friction oil with CleanSynto® technology, which offers optimal protection and fuel economy. Hydrocrack base stocks, combined with innovative additive technology, offer enhanced viscosity performance at extremely low temperatures. Approved and recommended by many manufacturers and suitable for extended oil change intervals where required. RAVENOL HCS 5W-40 is suitable for all year use in modern passenger car petrol and diesel engines which require this specification of oil, including turbo and non-turbo versions. Suitable for direct and non-direct injection motors in all operating conditions.